The Diesel Pinotage is a wine to take note of. It shows what Beyerskloof is trying to accomplish with their elegant style of premium Pinotage. 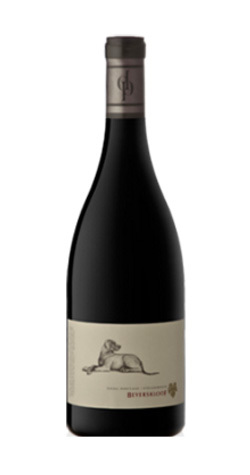 A big structured Pinotage with intense dark fruit flavours. A complex middle leads to a smooth finish with pleasant cedar flavours from the oak. Great balance between fruit and oak will allow superb ageing in the bottle for 10 years and more. The ideal match to spicy Indian dishes or a well matured rump/sirloin steak. 5 days in open casks with punch downs every 2 hours. Average fermentation temperature was 27˚C. After Malolactic fermentation in stainless steel tanks, the wine matured in 100% new French oak barrels for 20 months. After maturation, only 20 barrels were selected out of 300.